With the growing pressures of tight budgets, quick project delivery, and the increasing need to integrate with Building Information Modeling (BIM) workflows, landscape architects need to work smarter, not harder. One key way to do this is to adopt a site information modeling workflow into your practice. 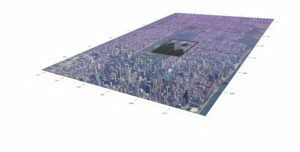 Site information modeling incorporates 3D modeling and BIM tools, such as smart objects, into the design process. This allows you to use data to increase your efficiency and make informed decisions. For example, with site information modeling, you can analyze your design for boundaries, area, volume, slope, cut/fill, and other data, such as water flow and sun/shade. You can document existing structures, plant materials, and site conditions and integrate mapping and site modeling needs into your workflows. You can also add survey data to your drawing to use as the basis of your site model, or import CAD drawings and data from architects, builders, or engineers to use as base plans. Wouldn’t it be nice if you could import geo-referenced aerial or satellite images and GIS data files from federal, city, state, or other agencies to get a clear picture of the site? With site information modeling, you can. And automatically generated worksheets and reports help you track data and calculate site performance to ensure code compliance as you develop your project. 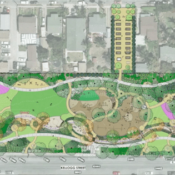 Join Eric Berg, PLA, ASLA, senior associate at Pacific Coast Land Design, Robert Anderson, PLA, ASLA, principal of ROBERT ANDERSON | landscape architect, and Matt Wilkins, associate at KTUA, for a free webinar as they discuss how their firms transitioned to site information modeling workflows from traditional CAD platforms. During the webinar, you will explore the challenges associated with this transition through real-world workflow examples using Vectorworks Landmark, highlighting the interdisciplinary, collaborative benefits of this change. You’ll also learn — through case study projects — how to summarize the deciding factors that encourage firms to move away from general CAD workflows to site information modeling. Assess site information modeling features and use them as part of your daily processes, from conceptual drawings and modeling to construction documents and presentations. Identify timelines, pain points, resources, and efficiencies gained regarding the transition to site information modeling workflows. Interact and collaborate with other disciplines using 3D models, BIM files, and GIS data. This September, the third annual Vectorworks Design Summit took place in Baltimore. 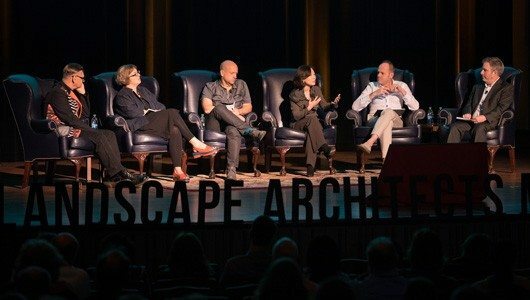 The event, hosted near its headquarters in Columbia, MD, showcased the lineup of programs the company offers to the design world, including Landmark, their landscape-oriented platform. 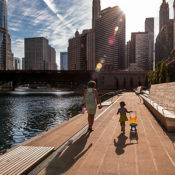 Similar to last year’s conference in Chicago, Land8 was there to bring you the latest from the software company as well as our take on the impact to landscape architects. Back in the day, the capabilities that are now part of the Landmark program began as just a series of plugins for the main program. 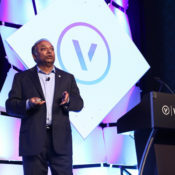 “We just decided to do it all ourselves,” says Vectorworks CEO Biplab Sarkar. Doing the programming in-house allowed the company to control the evolutionary process and tailor it to user feedback more efficiently. 70% of improvements are based on comments from users. “How (else) would we know? I am not a landscape architect or architect. We rely on our users and partners,” reflected Sarkar. The Design Summit also acts as a conduit for that conversation. One of the internal struggles for the program as it has evolved since 2010 is meeting the varied requests from the full range of landscape professionals. “We talk to garden designers, landscape designers, and landscape architects and sometimes they don’t actually want the new functionality we have added,” shares Sarkar. In Vectorworks, everything is a smart object and getting traction with designers who are not ready (or don’t want) to convert to a BIM workflow can have its difficulties. Vectorworks also hopes to target more related professionals with many of their improvements. The irrigation capabilities have been improved to allow for easier calculations and adjustments. They have also added functions for surveyors to better work with designers. Looking forward past 2018, Sarkar shared that while they are very proud of the hardscape functions within the program, they are looking to improve on the abilities to work with warped planes and finite grading along sidewalks and roads. The implications for urban design will be profound if you are able to more quickly analyze a hardscape environment and clearly see where your spot grading might have a bust. You already have an option in the program to show drainage directionality, but the company wants to take that further. The Vectorworks team is also very proud of all of the new augmented and virtual reality tie-ins there are now for all of their core products. The ability to easily share a model with clients over a web portal is one of the most useful attributes of all of the Vectorworks programs. The possibilities are bright for the Landmark product and we were happy to talk to Biplab and his team to talk about new features and the future of the program. One of the biggest requests that the Landmark team received from users was for additional functionality in editing contours in site plans. Now you can directly edit contours in 2D to make even the smallest adjustments. The contours act like polylines and have handle at intermittent vertices. 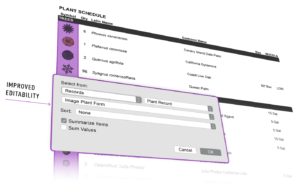 Plant images can now be added for Vectorworks’ extensive database to improve the legibility of planting plans. 2018 has added some new tools that are traditionally associated with GIS programs like ArcGIS. The new tree survey capabilities removes the need for external converters and allows you to output a plan of existing trees into shape files to be used by others. You can also now import georeferenced TIFF files directly into your model. I believe that this is one of the most important features of Vectorworks 2018. The ability to work in different views is one of the hallmarks of other 3D modeling software, but we see a key difference here when talking about this core functionality. When a model is being viewed in plan, Vectorworks condenses the objects into their 2D format. This allows less computing power to be used and the objects to be displayed with more iconography when available. Placement becomes easier because of the ability to move between different views and manipulate the model in real time. Multiple views also allows you to check yourself against other objects and make sure you aren’t placing something “out in space” as I often find myself doing in programs like Sketchup. You are never going to convince the whole world to stop using Autodesk products, but in order for Vectorworks to be viable in the marketplace, you need to allow the import of other types of models with full functionality. This import function has been upgraded to translate Revit objects into native Vectorworks symbols and objects with full textures. Worksheets are the backbone of a BIM workflow. Vectorworks 2018 adds new functionality of the worksheets to make your reports more automated and complex if desired. 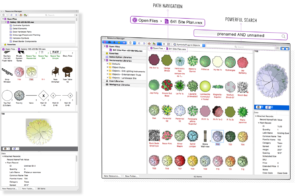 The resource manager was added last year to help you organize families of elements and models to quickly insert repeated objects into your working model. This service has been improved to allow for better searching and grouping. Direct Section and Elevation EditingBeing able to cut quick and useful sections of your model is one of the biggest workflow efficiencies in 3D software. Vectorworks now allows direct editing of those views to adjust or add objects across multiple layers. This allows you to make a more accurate drawing in much less time. While this is a brief rundown of all of the new and improved features related to Landmark, there are even more new tools and improved processes in the entire suite of Vectorworks programs. You can now do 360 panoramas as well as use the improved webview for Renderworks projects. The cloud services web portal has been improved. There is also now a message center to let you know what updates are available. 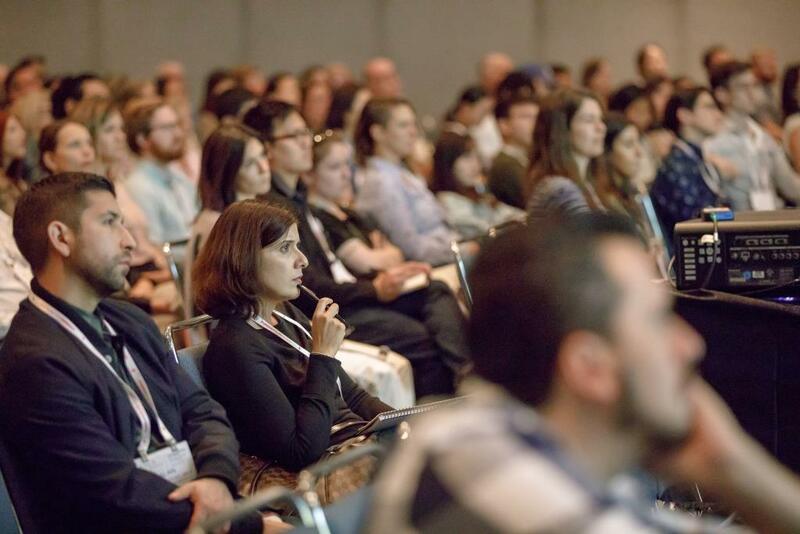 This September, almost 500 design industry professionals descended on the inner harbor of Baltimore for the third annual Vectorworks Design Summit. The event, hosted near its headquarters in Columbia, MD, showcased the lineup of programs they offer to the design world, including Landmark their landscape-oriented platform. Attendance was a mix of landscape architects, architects, IT tech types, and entertainment professionals. 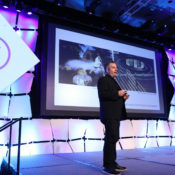 Similar to last year’s conference in Chicago, Land8 was there to bring you the latest from the software company as well as our take on the impact to landscape architects. Adam Greenspan of PWP Landscape Architecture share projects at the Vectorworks Design Summit 2017. 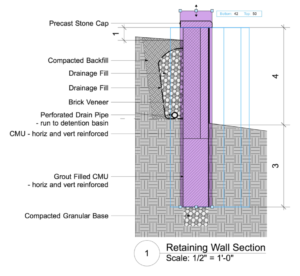 Image courtesy of Vectorworks. Vectorworks does a great job of putting together a diverse group of keynote speakers to share how their firms use the expansive suite of programs. The highlight for me was the presentation by Adam Greenspan of PWP Landscape Architecture. We were able to sit down with Adam later in the day for a deeper dive into his work. We will be sharing excerpts from that talk in a forthcoming piece. The incoming president of the LAF shared PWP’s work on a diverse set of projects with the assembled designers and stressed how Vectorworks allowed them to tackle complex projects with clarity early in the process. 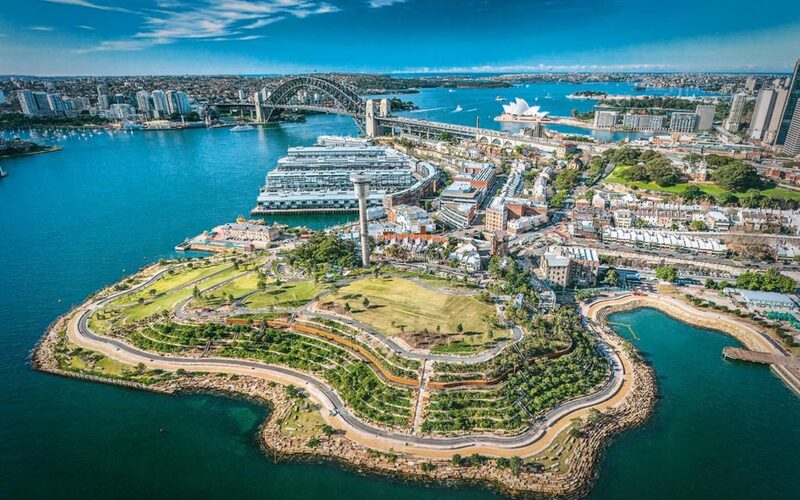 The design team of Barangaroo on the Sydney waterfront, PWP’s recent, high profile endeavor, utilized the power of Vectorworks during the schematic design phase to tackle complex topography with technical accuracy. The precision of initial design moves allowed them to have a more seamless transition into construction. The water’s edge at Barangaroo on the Sydney Waterfront. Image courtesy of PWP Landscape Architecture. One of the main objectives of the Summit, since it’s inception in Philadelphia in 2015, is to provide hands-on guidance with members of the talented Vectorworks team. Educational sessions lasted from one to a few hours depending on the topic. There was always an eligible session for LACES credit, which makes the event additionally useful for those of us who need to meet licensure continuing education requirements. We kicked off our sessions with “Water Efficient Landscape Design” by Eric Gilbey and Bryan Goff. Their presentation really highlighted the usefulness of worksheets and hydrozone features in calculating water usage over a plan automatically and using that data to fine tune a design. Historically, designers may have sought to integrate native plants and drip irrigation into their projects and labeled them as “water efficient.” Today, more and more clients are requiring us to quantify usage based on area and species. Many times, the process involves manually calculating areas, applying ratios, and spitting out rough “guestimates” of usage over time. 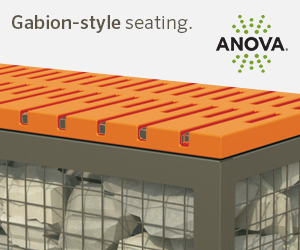 Landmark cuts down on this process by automating measurements and preapplying attributes to greatly reduce your workflow and allow revisions on the fly without onerous recalculation. Landmark’s worksheets offer data-driven accountability and fast calculations. Image courtesy of Vectorworks. Later in the day, Todd McCurdy helped designers work on the basics of modeling and rendering of urban spaces. I was struck by the flexibility of using “real” elements in models. Todd shared an example of a typical streetscape section that allowed manipulation of curbs, roads, sidewalks, depths, trees, etc that were tied to attributes and not just simple models. This kind of modeling falls someplace in between Sketchup and Revit, and there are many advantages to being in that sweet spot. Todd then helped us work through a simple rendering and the quick and impactful storytelling it can accomplish. Wednesday’s sessions focused on “Cartography and Site Analysis with GIS data” with Lance Fulton as well as “Sustainable Site Modeling” again with Eric Gilbey. Both took a deep dive into the modeling and worksheet capabilities of the Landmark software, but with a specific focus on data-driven aspects of design. This event is always interesting for us, perhaps specifically in the US, because of ever-present elephant in the room. 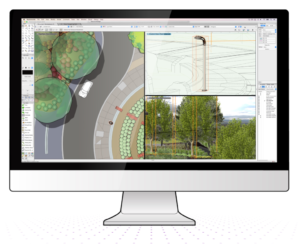 A large percentage of landscape architects are AutoCAD users. “AutoCAD” is the dirty word they probably would prefer you didn’t use around the conference’s lecture halls. The knowledge that Vectorworks has built has created a product specifically for our design field, where users have become evangelists for their preferred software. The result – better user feedback and consequently a better product. “The influence of our users is paramount to the changes we have made to the programs over the years,” according to CEO Biplab Sarkar. For the industry in general, a focus on landscape architecture fills a demand that Autodesk is all too often willing to ignore. Landscape-related resources for Revit are scarce and force users to get creative when working in a BIM environment. Autodesk University, which was held last week in Las Vegas, has zero sessions devoted to the practice of landscape architecture. Vectorworks reaches out to partner with landscape oriented media partners like Land8, where others do not. Despite the lack of attention, tools like Landmark need to be assessed on their usefulness and not as much on whether the marketing and development team sees your industry as a viable niche. Landmark 2018 takes another step in developing tools for our industry and should be thoughtfully considered as part of your workflow. We look forward to bringing you our next two spotlights on Vectorworks which will work through new features for this year as well as an interview with Adam Greenspan of PWP Landscape Architecture focusing on how they use Vectorworks in their design process. What’s on the Horizon for Landscape Architecture? Landscape architects work at a slow pace. While your projects and deadlines might argue, the design and construction process seems like molasses when compared to the speed of today’s world. Some would argue that to keep up with this unrelenting velocity, we have forgotten that being slow allowed us to be more methodical and precise. Others say that in order to stay relevant, we should broaden our scope to quickly fight global problems like climate change, sustainability, and social issues. Still, others worry that our unrelenting focus on ecology has made us forget the art and beauty that design brings to the built world. Our industry’s leading pioneers want us to do a lot of things to rapidly respond to what they perceive as threats to both our planets and our livelihoods. All have strong opinions on how to go about it. However, their frustration seems to unanimously find the same fault for many of these problems – we are slow. We will probably be the last pertinent profession to fully integrate BIM, despite efforts by certain individuals and software developers to bring us into the fold. Most firms that see the writing on the wall are just now making the capital investments to train their workforce, or at least considering it for the future. Until we are able to sit at the table with other trades and work in their native language, we will continue to be marginalized in both scopes and fees. We need to consider this as more than a trend and a more likely reality. Along these lines, if you haven’t been introduced to the term Anthropocene, then consider yourself in the minority. Though the term is used to bludgeon us with the notion of human dominated influence on the environment (mostly on those that don’t need convincing), the idea behind it has sparked a debate in the scientific community on proper nomenclature that no one except the scientific community cares about. Is the really the Anthropocene or is it not? Does it even matter what we call it? Expect the slow debate on what to designate our current predicament as to continue until long after it matters what clever vocabulary we use to describe the state of the planet. “Where are all the flying cars?” asked the disappointed Baby Boomer. Yeah! Where are those cars? As much as we may try to predict the future trends, it is really impossible to be certain what will make the most dynamic change in our daily lives and at what pace. For today’s generation, it has been the internet and digital economy. Will the next big thing be self-driving cars? Green infrastructure? Artificial intelligence? The sharing economy? The internet of things? Drone delivery? (No. The answer is no to that last one.) We need to be able to react to these trends now in real-time – considering how landscape fits into each and how to apply our unique brand of stewardship and design. You can be sure that we will react… probably slowly. Examples like the 11th Street Bridge in DC are supposed to set precedents for green infrastructure. We need to be able to react to these trends now in real-time – considering how landscape fits into each and how to apply our unique brand of stewardship and design. You can be sure that we will react… albeit slowly. The main issue seems to be that we can no longer afford to adapt at this pace. The Earth used to react slowly too. Taking each scar with a smile and spinning along. Most believe that along with technology, the planet will continue to change at an exponential pace. We can’t be as slow as we used to. The future of landscape should be fast. Benjamin Boyd is a landscape architect practicing in Baltimore, Maryland. Check out his profile on Goodreads to see what he has been reading. Ben often tweets about landscape at @_benboyd. LA+, published by ORO Editions, started out in the spring of 2015 as a unique, landscape-focused journal that deviated from the pack by not only bringing designers, but philosophers, artists, geographers, ecologists, planners, scientists, and others to the table for their take on a core theme in each issue. Since then, the folks over at the UPenn School of Design have covered the themes of Wild, Pleasure, Tyranny, and Simulation. Along with the individual theme, each issue ends up with its own unique tone and perspective. This season’s issue is Identity. Not easing in, the editors start by literally comparing the landscapes of Nazi Germany to those “mass produced by today’s so-called ‘placemakers.’” Shots fired. The creative backlash against organizations like Project for Public Places is real and mentioned more and more often. What are we to make of manufactured identities? Is a 21st century programmed place any less authentic than one developed in centuries past? The initial brushes of the Identity issue wax romantic on the notions of self and personal identity. It surmises that only through the lens of yourself, can you truly take the next logical step and consider a symbiotic relationship with your convenient planet of reference. This symbiotically connects the life and health of the planet directly to you and your actions. However, though these philosophical ruminations are clear and convincing, are they really arguments that need to be made to the intended audience? A philosophical understanding of our entire industry notwithstanding, the invocations of meaning are thoughtfully pondered, but for this reader, mostly end up in the same place they started. A more interesting evolution of the symbiotic premise is then applied to the idea of colonizing other planets. If humans are currently in a thoroughly vetted, interdependent relationship with Earth, then how do humans sync up with worlds of different origins and inhospitable environments? Are we hopelessly confined to being but guests and never capable of the sort of congruence we have with our current home? A brief and fascinating passage by Dirk Sijmons asserts that identity is, in fact, a verb, or more specifically, a process. He asserts that though in the past century, designers have clung to the idea that landscape form is just a creative output of the project constraints and an application of art, we forget to consider the massive importance of macro processes that shape space. In his example, the massive dam and weirs projects in Holland attest to human’s ability to shape and augment space to fit basic needs. Modern designers have used remnants and echoes of these forms to derive designs that supposedly echo the “genus of place.” Their assertion, however, under weighs the agricultural, industrial, and defensive motivations for the augmentation in the first place. The changing needs of inhabitants over centuries and their willingness to take on massive scale revolutions in the landscape are the true basis of identity. Consider the canals of Egypt, the rapidly spreading swaths of suburban China, the Hoover Dam of Nevada, or the artificial islands of Dubai where Sijmons asks if processes of civilization are the generators of identity, rather than social or colloquial elements landscape architects often use to derive form. Further considering manufactured uniqueness, Andrew Graan and Aleksander Takovski mine Macedonia’s “Skopje 2014 for lessons in identity.” Skopje 2014 is an extraordinary architectural makeover project in the namesake capital city of Macedonia that seeks to clear asunder the remnants of Ottoman and Socialist markers that unfortunately results in a “sense that one has stumbled into a fantastic landscape that desperately wants to be noticed.” Skopje’s array of massive statues of Alexander the Great and others seeks to create a “political economy of architectural spectacle.” While the statues and buildings are derived from historical references and hit all the notes of place-derived focuses, the product borders on infatuation and excess. How are we to consider the identity of these places years, and even decades, from now? Will Skopje be viewed as an exercise in abject nationalism, or will it meld into the fabric of Macedonia’s identity causing future designers to derive their forms from it? Finally, one of the most interesting reads from this issue is Branding Landscape by Nicole Porter. She asserts that ‘place’ itself has obvious intrinsic economic value and the strategic practice of ‘place branding’ seeks to exploit that value. Two case studies, Singapore’s Gardens by the Bay and Norway’s national park branding, outline her argument that these branded landscapes have been reduced to “functioning as commodified objects functioning as brands.” In both instances, the government harnesses the most cost effective way to impress and, consequently, express the commitment and efficiency of said government. She laments that “the irony is that producing place identities according to market-friendly typologies can destroy their true uniqueness and inherent value at the same time.” Her worry is that a capitalist ideology injected into the human-nature relationship is a slippery slope that forces everyone to be consumers. 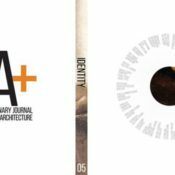 LA+ Identity is another excellent entry into an already thoughtful collection of varied perspectives on the work that landscape architects do. While some of the more existential explorations of philosophy are valuable and necessary, the critique of pervasive ideologies and popular landscapes is even more essential. Benjamin Boyd is a landscape architect practicing at Mahan Rykiel Associates in Baltimore, Maryland. Check out his profile on Goodreads to see what he has been reading. Ben often tweets about landscape at @_benboyd. 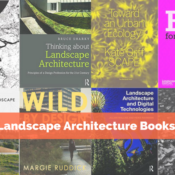 2016 has been a great year for landscape architecture books. 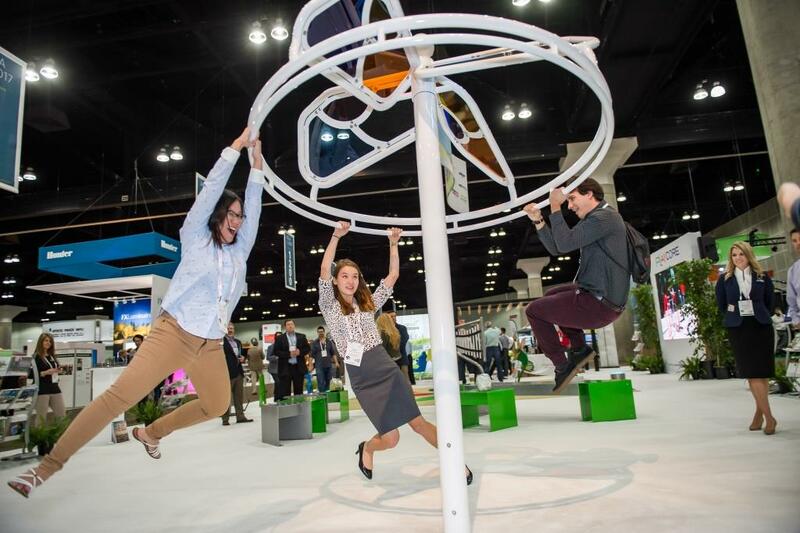 Whether you are interested in preparing for the eventual shift toward BIM technology, learning about innovative ecological solutions in cities, or the future of infrastructure, last year had something for you. Notably, Charles Waldheim released his most comprehensive primer on Landscape Urbanism which laid out the current thinking on designing cities in tune with nature. Kate Orff published her first comprehensive monograph (though that’s not all it is) about her firm SCAPE. These and many more books formed a stout selection for practitioners and academics alike. We covered a few of these books here at Land8 and plan on reviewing a few more on this list in more detail soon. Charles Waldheim and Jill Desimini explore the shift in representation from the “material and physical description toward the depiction of the unseen and often immaterial.” This beautiful book takes a critical view of the current use of data mapping and visualization and calls to return to traditional cartographic techniques. Authors Jillian Walliss and Heike Rahmann explore how digital technology is shaping the projects and practices of some of the most important firms in landscape architecture. The focus is less on making pretty digital renderings and much more on how simulation and analysis can make much more complex design possible and more integrated with the landscape. This book is interesting because it is not particularly for landscape architects that are already in practice. If you are just starting out in the profession or deciding on studying landscape architecture in college, this book is a great resource to lay out all the different aspects of being a professional and all the different avenues that practice can take you down. Bruce Sharky is a professor at Louisiana State University and always does an excellent job of writing with the perspective of an educator, teaching you his topic easily and precisely. BIM is coming for landscape and if you aren’t already working with it, odds are you will be. The book is presented by the Landscape Institute, the British equivalent of the ASLA. The UK has already made BIM mandatory on all public sector projects. This book makes the argument that the advantages of moving to BIM are worth the effort and present a bevy of examples to back it up. This book is another “reader” in the vein of Recovering Landscape by James Corner and the Landscape Urbanism Reader by Charles Waldheim (I guess he hasn’t been mentioned enough in this post). The topics sway around a bit, but many are worth your time. A focus is the changing nature of landscape and the effects of climate change, but it is also about beauty and the aesthetic and how we apply them (and don’t forget them) in modern landscapes. We’re cheating a little bit again here, but if you haven’t checked out Penn Design’s Tyranny and Simulation editions, you need to do yourself a favor and sign up for their bi-yearly subscription. Each issue focuses on a different topic related to landscape architecture but brings voices from outside of the profession to bear. If you attended this year’s LAF Summit (or you already knew), then you found out that Kate Orff is an optimistic and creative force in the world of climate adaptive design. Her book is part monograph and part a clarion call for the need of meshing the social and environmental to deal with the future problems of our planet. In his new book, Charles Waldheim advocates that landscape architects should become the focal points of a new era of designing the world around us. His book clarifies the theory of landscape urbanism and gives a well-reasoned justification for its existence. Though it is a slightly more challenging read, the subject matter is so important to some of the most influential firms in landscape architecture that is it well worth your effort. Borrowing a bit because this is on the ASLA’s list too. 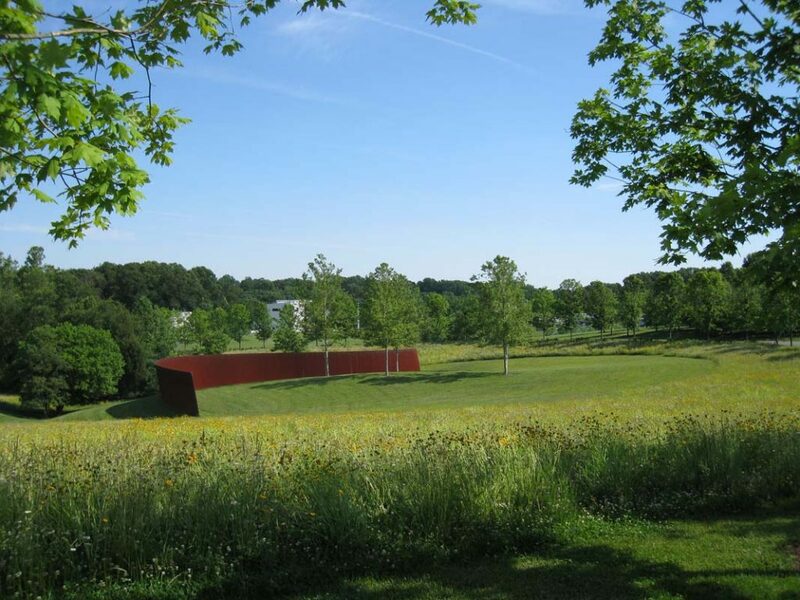 Learn about how nature can come become an integral part of creative landscape design. Margie Ruddick there’s a set of principles for a more creative than intuitive to produce the challenges in entrenched believe the natural process cannot complement high-level landscape design. Though not published in 2016, the unfortunate passing of Diana Balmori this year merits a revisitation on her seminal work on the purpose of Landscape Architecture. In a passing nod to the Landscape Urbanism vs New Urbanism, Manifesto states that “nostalgia for the past and utopian dreams for the future prevent us from looking at our present.” A solid book on landscape philosophy that is perhaps rigid at times, but it well worth your attention. “To engage with potential digital technologies is to understand a new language, new workflows, design processes and theory.” Landscape Architecture and Digital Technologies: Re-Conceptualising Design and Making is a glimpse behind the scenes into some of the today’s most cutting-edge design firms and a welcome, in-depth exploration of the tools that are shaping their most unique landscapes. The range of programs and techniques used to develop projects has been changing at a breakneck pace over the last decade. While most firms have reached proficiency with computer aided drafting and perhaps delved into 3D modeling, many designers might be surprised by the breadth of methods presented in this book. Form is often a direct representation of the tools used to derive it. These days that means many, if not most, of the landscapes you create are done in plan and with CAD lines. The result can be great, but sometimes it can also lack significant considerations beyond form. 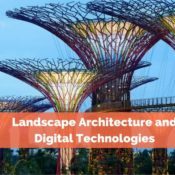 Digital Technologies, by Australian landscape architects Jillian Walliss and Heike Rahmann, explores the means and methods leading firms utilize to create complex, high-profile projects. The authors break down design processes and then focuses on the tools employed to create structures, predict performance, simulate nature, and collaborate with others. I believe that, on a certain level, this criticism is warranted in the fact that digital tools have been largely leveraged for representational imagery. Designers, under pressure from an escalating war of visual expectations, have to exert more and more time for education and production to create quality digital images. Firm principals have to then leverage more of their budget to create more refined products earlier in the process. These obstacles and sentiments can result in the what Fulton called the “slow advance of the digital in landscape architecture.” Across the industry, landscape architecture is clearly lagging behind architecture in utilizing advanced tools for more than just renderings. Digital Technologies aims to present real-world examples of how these tools can play a prominent role in a project from concept to implementation. One of the distinct advantages of the new age of digital documentation is the ability to model complex geometries and landforms based on improved survey information. However, beyond just making a simple model out of contour lines, many landscape architects haven’t been able to take the next steps in creating complex forms for themselves in high detail. The book explores the concepts of form generation and how some firms are using techniques like parametric modeling and scripting. Perhaps one of the most recognizable projects that places performance at the forefront of design is Fresh Kills Park by James Corner Field Operations. Building on this example, Digital Technologies focuses on the shift toward more quantifiable systems in design. One of the biggest components of this movement is parametric modeling. The book “frames parametric modeling as a speculative research process where form emerges through the interrogation of information, and performance.” The result of this being that designers “model behaviors and relationships of systems, phenomena, and form and seek to establish a set of rules to apply within further design approaches.” This observation becomes increasingly more poignant in the face of more available data, especially that on the effects of climate change. Increasingly, available software capable of modeling the fluid dynamics of wind, water, tides, heat, humidity, and pollution present new opportunities for embedding temporality and change into design processes. Digital Technologies highlights the Supertrees at the Gardens by the Bay in Singapore by Grant Associates, Thermal City by PARKKIM, and Sigirino Alptransit Depot by Atelier Girot. The book makes the case that simulating systems is a missing link between a design and a “finished” product that is years, maybe decades, down the road. Much of what landscape architects design is ultimately constructed from items in a catalog. Concrete from this supplier, benches from this company, or lights from this or that catalog. And while there is nothing wrong with sourcing materials from artisans who focus on creating one or a few products of high quality, emerging technology has “provided new opportunities for exploring materiality and construction techniques.” The lead example in Digital Technologies is again the Super Trees of Singapore’s Gardens by the Bay by Grant Associates. 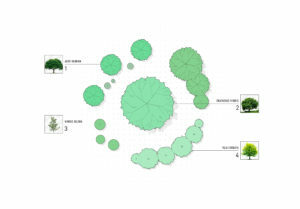 The trees were fabricated using BIM software to document designs and connections. “The ability to translate designs directly from 3D digital systems into physical installation without spending on 2D abstraction, so called ‘file to fabrication,’ opens new avenues for more efficient automated production processes.” The seamlessness between design and fabrication also encourages more prototyping which should lead to more effective and thoughtful designs. 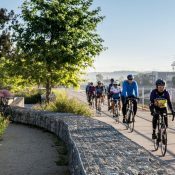 This process, however, relies on many people with a highly specialized skill sets – often those not directly related to landscape architecture. The future of the profession may see us relying more and more on these experts, which begs the question, how can we collaborate with others more effectively? Much has been said about the advantage of BIM software, like Autodesk’s Revit or Vectorworks Landmark, in documenting the entirety of a project in 3D. While there are still shortcomings in the way landscapes can be modeled, one of the biggest benefits to its implementation is more unencumbered collaboration. When teams can see changes to a site quicker, they can react and work more efficiently. Cooperative design with consultants that may be located all over the world is more and more common in this digital age. Beyond meetings, designers need to see how their decisions are reflected in the work of other trades. That being said, Digital Technologies is quick to point out that there are deficiencies to current BIM integration. The authors warn of reduced design development down to “the assemblage of objects provided by the software toolbox – adding a further bureaucratic layer to design.” BIM also makes designers ultimately rethink their role entirely. 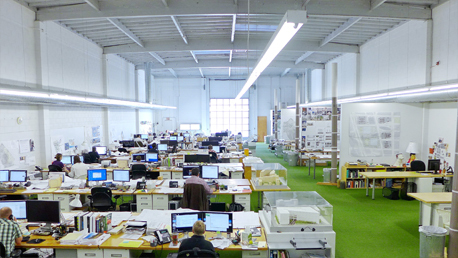 Traditionally, architects have become more and removed from construction. Better integration may allow us to patch that gap moving forward. Digital Technologies predicts the power of the digital model, continually evolving education, transformation of practices, and a greater focus on research will all have a big impact on the profession in the years to come. Many firms are also placing a bigger emphasis on research as a fundamental aspect of their practice. 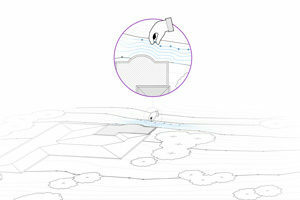 I believe that we are on the verge of a major shift in the way that landscape architects design and document projects. 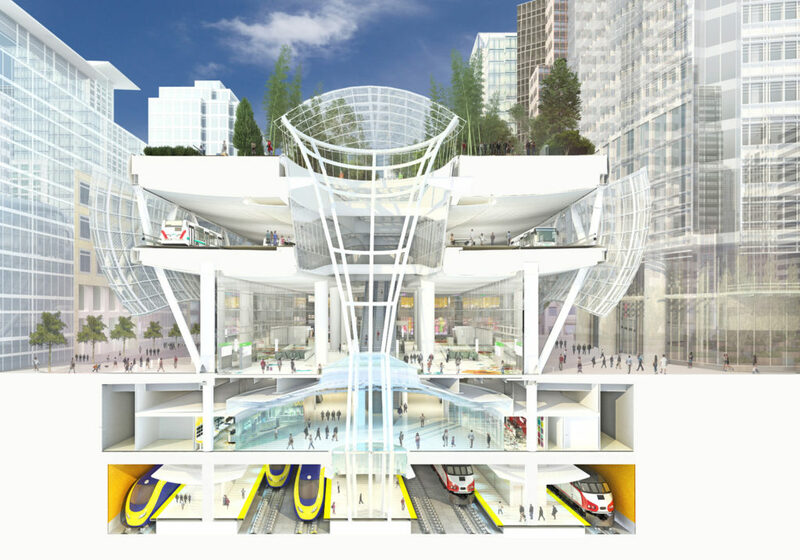 The transformation to modeling and BIM related systems is undeniable. Can we, however, maintain, the soul of our designs while moving into this new methodology? Only time will tell. Cartographic Grounds: Projecting the Landscape Imaginary explores the varied methods of geographic representation and the intricacies of translating maps to plans – from representation to intervention. Jill Desimini and Charles Waldheim, both of Harvard’s Graduate School of Design, have produced one of the most visually stunning books I have had the pleasure of reading this year. The book represents the culmination of work that was showcased in an exhibition in late 2012 at Harvard. According to the authors, the ability of maps to not only represent space but also to depict “unseen and often immaterial forces” holds the “projective potential of cartographic practices that afford greater connection with the ground itself, making present and vivid the landscape, as it exists and as it could be, both to the eye and the mind.” This power is wielded by all landscape architects to varying degrees of success. Thus, it is the transformation methods of data to plan that are the focus of this the book. The authors assert that “the cartographic imagination is a study of the importance of multiple representations – of seeing and depicting various realities depending on the relevance of the occasion.” This abstraction is fundamental to the future of mapping. Google understands this as well and aims to personalize maps to an even greater degree in the future for better representation and to aid us in translating that data into interventions. The book is light on text and heavy on images which show contrasting styles as well as engaging examples within each typology. 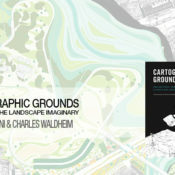 Cartographic Grounds asks “readers to return to traditional cartographic techniques while reimagining the manifestation and manipulation of the ground itself.” The authors advocate that the thoughtful and thorough application of these techniques will clarify and elevate both design and its ability to translate it to others. The book is light on text and heavy on images which show contrasting styles as well as engaging examples within each typology. Benjamin Boyd is a landscape architect practicing in Baltimore, Maryland. Check out his profile on Goodreads to see what he has been reading. Ben tweets at @_benboyd. 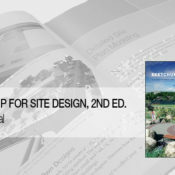 Sketchup for Site Design: A Guide to Modeling Site Plans, Terrain, and Architecture is the follow-up to Daniel Tal’s 2009 edition of the same name. Since then, the environment of Sketchup hasn’t changed dramatically, but being purchased by Trimble from Google has spurred more development support and a host of new features. Ruby Scripts are now referred to as “extensions” and Tal has changed what was called “sandbox architecture” to “digital elevation modeling.” These subtle differences mean that the old version is still applicable regarding workflow, but that the new version corrects for all the incremental changes over the last seven years. The reason that this book is very relevant to landscape architects is that it has a larger focus on the softscape functions of Sketchup. You could arguably purchase a Sketchup tutorial book and learn how the various tools work, but the examples would be less that applicable in the modern LA office. Tal offers practitioners practical examples of landscape projects that have been built into the program. Sketchup has an interesting place in the modern office. Models can be used in all phases of design. Process models come alive quickly while construction details can be fleshed out with precision. However, with more and more architects using Revit and more advanced modelers like Rhino are available and taught in school, Sketchup is not the ubiquitous choice for modeling it once was. However, it still has its place. What sets it apart is the ease and approachability of the program as well as vast libraries of models in the 3D Warehouse. These assets continue to make Sketchup an excellent choice for a broad range of projects in the modern firm, and this is where Tal is targeting his book. The second edition breaks down into four distinct topics: an introduction to the program, the process of modeling, terrain modeling, and techniques for working with AutoCAD files. It is striking that there is a whole chapter devoted to dealing with the idiosyncrasies of AutoCAD conversion. This focus speaks to the vast majority of landscape design users that are planning designs in CAD first and then fleshing out models based on it. One of the most useful parts of the book for me was the identification of all the myriad of extensions that you can use with Sketchup. Often when you install these scripts, there is a short explanation on how to use it, but most of the know-how comes from trying it out yourself. Tal breaks down many of the most popular options that even a seasoned user like myself hasn’t had on my radar. Tal shows you where the options are for each and what the best use of it is utilizing a real example. Tal breaks down many of the most popular options that even a seasoned user like myself hasn’t had on my radar. For advanced users, the introductory chapters are going to be a good refresher, but something that you can mostly skip. For new users, these topics are a must for understanding how Sketchup works as a modeler. Understanding the capabilities and limits of the program is key to knowing how and when to utilize it most effectively. Tal sprinkles in some on the before mentioned extensions which make browsing through the chapters at least worthwhile for everyone. Understanding the best practices for your modeling process is critical for usefulness in the workplace. Someone else may need to get into your model, or you may need to come back to it at a much later date to make changes. Proper organization is imperative to ensure that this process is as seamless as possible. Tal expands on almost all of the available tools as well as the most significant extensions and what their capabilities are. Many of the processes come with exercise that can be accessed through Tal’s website and the 3d warehouse. The terrain modeling is often one of the most challenging tasks in Sketchup because it deals with undulating forms that don’t lend themselves to the line and face architecture of Sketchup models. Tal offers many practical suggestions and work processes that aim to simplify the terrain process. He introduces methods to work through spot grades around building to create paths as well as how to utilize a mesh system with more accurate manipulation tools to make better models. The final section of the books deals with one of the biggest headache areas for users – working with AutoCAD drawings. Here Tal present a multitude of options and shortcuts to make the linework transition more fluid as well as organizational tips for CAD to make your Sketchup workflow more efficient. If you have ever transferred over a drawing with a lot of curves, then you know that Sketchup isn’t the best at handling them. The book outlines a myriad group of third-party extensions that can make bridging the gap in capability much simpler. Sketchup for Site Design: A Guide to Modeling Site Plans, Terrain, and Architecture was published in February 2016 by Wiley. Benjamin Boyd is a landscape architect practicing in Baltimore, Maryland. If you would like to check out what books he is reading or reviewing currently, check out his profile on Goodreads. Ben tweets at @_benboyd. 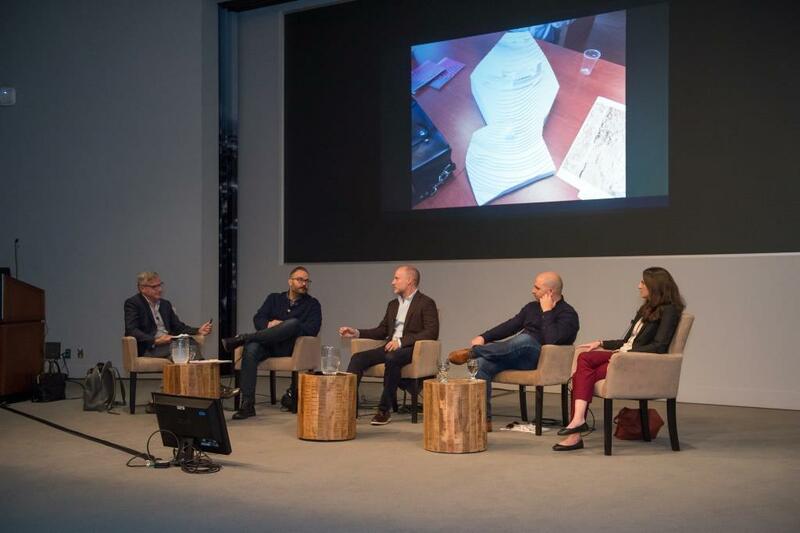 This year’s annual Vectorworks Design Summit brought together an international mix of landscape architects, architects, engineers, lighting designers, and hosts of other professionals from around the design industry. They gathered here to first, learn more about Vectorworks’ comprehensive range of products, but they also came to be inspired by a bevy of industry leaders who utilize their software to create and design innovative spaces around the world. Land8 was fortunate enough to have a presence at the conference, and we will be bringing you a few separate articles about this year’s event. Vectorworks is a collection of software under the umbrella of Nemetschek based out of Munich, Germany. Created in the mid-1980’s as Diehl Software, the software was popular among Macintosh users, many on the west coast. Since then, the program has been adopted by firms on both sides of the Mac/PC aisle and incorporated BIM technology into its base software. Vectorworks headquarters is located in Columbia, Maryland with a few other office scattered throughout the country. Built on the core software Vectorworks Designer, the Landmark variant boasts a plethora of planting and grading related capabilities. The most compelling aspect of Landmark, however, is that it is designed with landscape architects, specifically, as it’s target user. Here is a full-service software for our niche of designers that isn’t a plugin or an add-on. That is something that Autodesk has yet to, and may not ever, create. Here is a full-service software for our niche of designers that isn’t a plugin or an add-on. The Summit, held this year at Chicago’s Fairmont Hotel just off Millenium Park, was billed as an event to connect “you with visionaries who share you passion for design.” There was a huge selection of educational sessions and in every timeslot, there was an option for landscape architects with LA CES credit available. While the conference was targeted at the existing user base, as it should be, there were many opportunities to diverge from the software and for designers to be inspired by some of the work that these Vectorworks users have been producing. 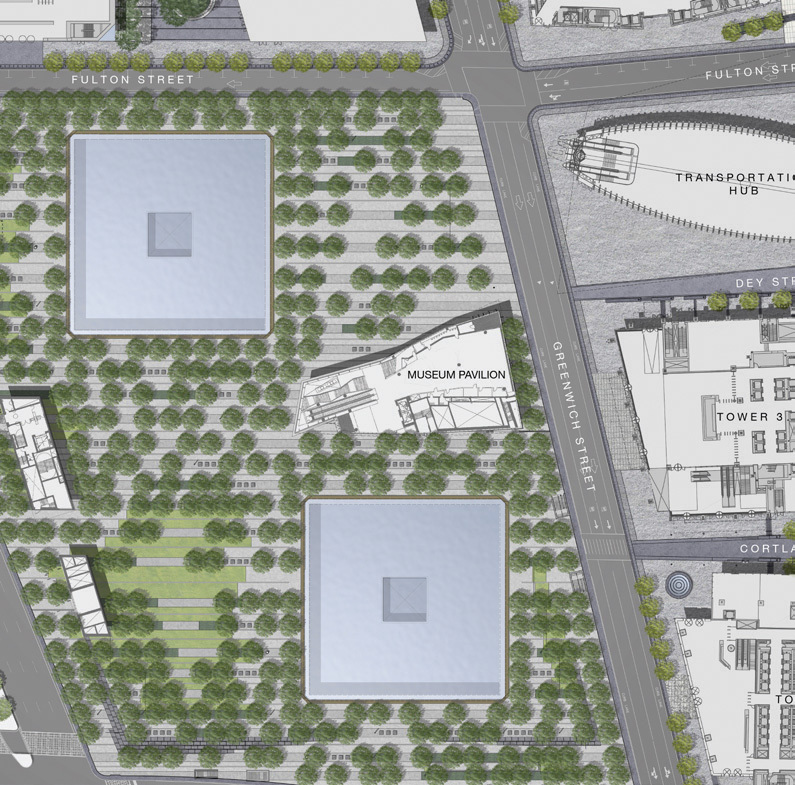 The nearby Park at Lake Shore East, for instance, was designed by the Office of James Burnett a little over a decade ago. Since putting the first trees into the ground, the neighborhood around it has flourished and emerged as a premier residential enclave. Studio Gang’s iconic Aqua Tower anchors the west end of the sunken green space with its undulating balconies and glistening blue windows. Kyle Fiddelke of OJB had a session to explain the history of the project and to share some of the original graphics and drawings produced in Vectorworks. Later in the day, a group of us joined Kyle and a current resident of Aqua around the site as they shared combined insights from the designer and the user. Other sessions focused on how Vectorworks Landmark software was changing the game for landscape architects. Eric Gilbey‘s presentation on the software’s Power Duo: Plants and Site Models showed off the smart object features in Landmark. 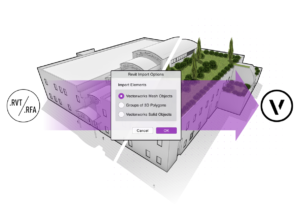 These BIM (or SIM according to Vectorworks) objects allow manipulation of embedded data and enhanced analysis. The neat thing about Landmark is that all of these objects have a 2D form, the familiar tree symbol, as well as a 3D object. The strength of the program is that when you put a plant in place, it exists in both conditions. Eric walked users through the best practices of smart object use and troubleshot a range of questions from the group of users. 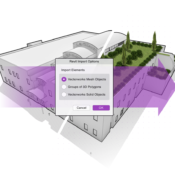 These BIM (or SIM according to Vectorworks) objects allow manipulation of embedded data and enhanced analysis. Another interesting presentation by Robert Anderson, private practitioner, and Eric Berg of Pacific Coast Land Design delved into Collaborative BIM Workflows. Eric showed how his firm utilized BIM elements from the project onset. He explained how being in a 2D/3D environment early gives designers the ability to be precise and comprehensive in their design. Eric’s workflow started in a model and allowed a more efficient transition to section, plan, and perspective exhibits. When he wanted a more polished 3D images and fly-throughs, he showed how the model can be brought right into Lumion. Robert’s consulting experience included transitioning firms from AutoCAD environments into Vectorworks. He showed multiple examples of projects where having an integrated model gave him and his clients an advantage against some terrain-oblivious architects. Also, the benefits of quick schedules and inventories give him a real edge. My favorite presentation was by Eva Franch, Chief Curator and Executive Director of Storefront for Art and Architecture. In the last day’s keynote, Eva focused on “the importance of experimental ideas and practices in design, as well as the possibilities and insights garnered through an appreciation for taking risks.” One of Storefront’s most recent notable projects among the vast range of initiatives is OfficeUS Atlas. “The OfficeUS Atlas collects the exhibition research in an archive of nearly 1000 architectural projects. Organized according to individual firm histories, the Atlas documents the development of U.S. architectural offices working abroad from 1914 to the present.” Eva’s presentation was lively, fast-paced, and inspiring. Since much of the Summit focused on the product, it was a refreshing break for designers to take a step back and reflect on the goals and impact of their designs. Eva put that work in focus and highlighted the many varied ways the Storefront in New York City acts to inspire and innovate the discussion of architectural design. A revamped, intuitive interface for accessing Vectorworks resources called the Resource Manager. The Structural Member Objects empowers designers to quickly and accurately model common structural elements. Irrigation Tools will aid in the design documentation and analysis of irrigation systems. With Vectorworks Analytics, the collected data from users who opt-in to share data will be used to improve the workspaces and interface of future lines of Vectorworks software. Previously unavailable to everyone, Vectorworks Cloud Services for All is now an option at all program levels. Significant performance improvements to the Vectorworks Graphics Module (VGM). Web View/Virtual Reality will offer the ability to export designs from Vectorworks software to a web-based interface that works on virtually any hardware and operating system that supports a web browser. …the first night consisted of a Lego building competition in an underground ping-pong bar. Land8 would like to thank Vectorworks for allowing us to come out and take a sneak peak at the program’s newest functions as well as to learn more about the people that use it every day to create amazing designs. 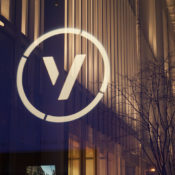 Vectorworks, in addition to putting on educational sessions, also put on a great party over the course of the 3-day conference. For example, the first night consisted of a Lego building competition in an underground ping-pong bar. How fun is that? Attendees were able to meet new people and test their creative skills with the chance to win some sweet Lego swag. All this while enjoying great food and drinks provided by our hosts. The customer appreciation dinner was held on the second night in the Chicago Art Institute’s modern and contemporary wing. The beautiful setting was a great place to mingle and dance with other designers, builders, and reps from the company. Land8 had a great time meeting the broad range of people who come out to learn and support Vectorworks and very much appreciated the opportunity to share this exciting event with the rest of the landscape architecture community.